If a writer sets a novel in a world without any familiar reference points, it might be described as surreal, or placed in the fantasy or alternative reality genre – Paul Auster’s In The Country of Last Things comes to mind. Other times, familiar places are given new names and also possibly amalgamated, while within that reality other larger places remain the same (Australia is still Australia). In Tim Winton’s work, is Angelus simply Albany renamed? One could go mad trying to tie down the suburb of Cloudstreet; it’s West Leederville, but it’s also Subiaco, and other western suburbs. And this is surely the point: renaming a familiar place loosens the constraints on the novelist. The novelist can construct their own place like building Lego, taking bits which go together. The railway line can be closer to the river. In the same way that time is manipulated, memories from different stages brought together, place can be manipulated. The setting for the story was the familiar seaside scene of the Western Australian beaches. Anyone could tell that. ‘Calatta’ was Rockingham, or Cottesloe, or was it Point Peron? Or the Basin at Rottnest, perhaps? In Prichard’s lovingly evocative language the places and people seemed real. And yet, as in all works of fiction, reality and imagination are woven together in Intimate Strangers in new lives, new people, new events that exist only in the mind of their creator and the words in which their existence is evoked. Throssell uses Calatta as a good example of how direct parallels can’t be drawn between fiction and life, a point which becomes important, biographically, when it comes to reading the novel as a portrait of Prichard’s marriage. Yet like the kid in class who ignores the point and goes off on their own tangent, I can’t help trying to put Calatta on the map as I read. In Chapter Four, the surf clubs compete, with Calatta going up against North Cottesloe, Cottesloe, City Beach and South Beach; later, it’s mentioned that Calatta’s ‘a few miles’ from Fremantle. It has holiday shacks, and a limestone main-street; cliffs; a view of an island. Just like Throssell warned, Calatta’s an amalgam and the point is to enter fully the novel’s world which is like my world, but also not like it – especially separated by eighty years. In thinking through the function of ‘amalgam places’ for this post, I have a new appreciation of them. But James Joyce claimed Dublin could be rebuilt from his descriptions of it in Ulysses, and I’m quite fond of writers being very specific in evoking a place, using real names – if it’s done well. (I confused one reader in my current novel-in-progress is by writing about an alternative Perth where a ten story library sits on Heirisson Island, but still calling it ‘Perth’, and indeed calling everything by its real name. This objection is connected to all of this.) What do you think? Do you have a preference for fictionalised, amalgam places or not? 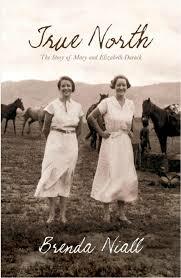 I couldn’t put down Gabrielle Carey’s memoir, Moving Among Strangers: Randolph Stow and My Family (UQP, 2013), so in one important sense, it is a successful book. Yet I was reading it most of all to learn more about the enigmatic Western Australian writer Stow, and on Stow the book intensifies the mystery of the man, whetting my appetite for more without satisfying. Carey’s mother was friends with Stow when they were both young, and she wrote to him when her mother was dying. After a brief correspondence remembering the links between the families and mentioning some things Carey never knew about her own family, Stow retreated from further contact and died not long after. Carey attended the tribute held in his honour in Perth, and the trip prompted her to re-establish contact with the estranged Perth side of her family. She finds herself embarked on two quests: to understand the secret lives of her parents, and to understand the reason for Stow’s retreat to England to work a barman and publish very little in the last forty years of his life. The connection between the two strands does not always feel strong enough, or more that they seem such different goals. At one point Carey comments on what a messy person she is, and it is a messy book in some ways (in a good and bad way), delighting in co-incidence between the two quests and moving forward with a kind of stream of consciousness. 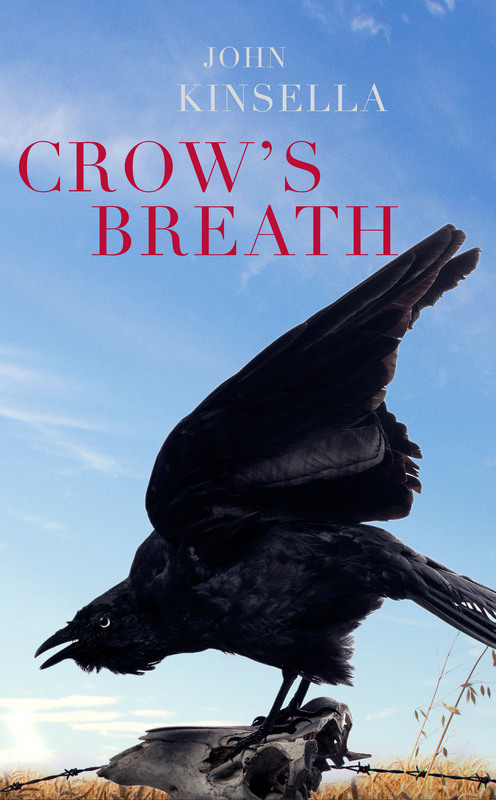 It has the immediacy and pace of a quickly written book, and also some of the lack of polish. Carey is indiscreet and opinionated, saying things many people would not put in print (‘I…deceived my last husband to have an affair with a younger man from my yoga class’), and perhaps her disarming honesty is part of the book’s appeal. Her judgements are often funny; sometimes grating, when she says something I don’t like, such as generalisations about Western Australia. It feels to me that the real subject is Carey herself, and that is only a problem if one is wanting the real subject to be something else. I think I tend to find every memoir a little indulgent, which is probably largely an attitude I was brought up with. It might also be the attitude of a biographer, for whom the focus should be on the other, the historical subject one is recovering. That said, I am fascinated by the genre of biographical quest, and this book has strong elements of it. The quest to uncover the truth of the subjects reveals things the protagonist never knew about their heritage and about their character. It leads them to exotic places (well, Perth, Geraldton and Old Harwich). Some of the story is told in the letters of the subjects. All these elements are present; it’s just that Carey is not trying to produce a true biography of either her mother or Stow, but a memoir of the quest itself. A book should never be judged by what it is not trying to be, and it really is an interesting book. The opening of Dare Me! Just released this month is a biography of the neglected Western Australian writer, Gerald Glaskin; it’s called Dare Me!, written by John Burbidge and published by Monash. Glaskin wrote one of Australia’s first openly gay novels; he died in 2000 in his seventies. I’ve just read the opening chapter ahead of hearing Burbidge speak at the Perth Writers Festival. It’s very good. Instead of more typical openings, Burbidge calls the chapter “My Beautiful Beach” and relates several incidents from Glaskin’s life relating to his beloved Perth beaches. He would see the pine trees of Cottesloe coming home from abroad; he would body surf there, only to suffer an accident which would mar the rest of his years; he was to be charged with exposing himself on a Scarborough Beach, an incident which revealed much about his forceful character and the Perth of the 1960s; his grandmother was to let him live in her Safety Bay cottage for six months, where he wrote his first novel, which went on to considerable success. It’s a bold move; in the opening chapter, we already have the contours of his entire life laid out; we know that he will not be able to match his early successes, we know of his bitterness and his charms, we know something of his death in March 2000. It works, and it is all the more remarkable that it’s the biographer’s first biography. Hugo Throssell is a fascinating, tragic figure, well deserving of his own biography apart from his role as husband to one of Western Australia’s most important writers, Katharine Susannah Prichard. Indeed, they met in London during WW1 as two Australian celebrities in their respective fields. 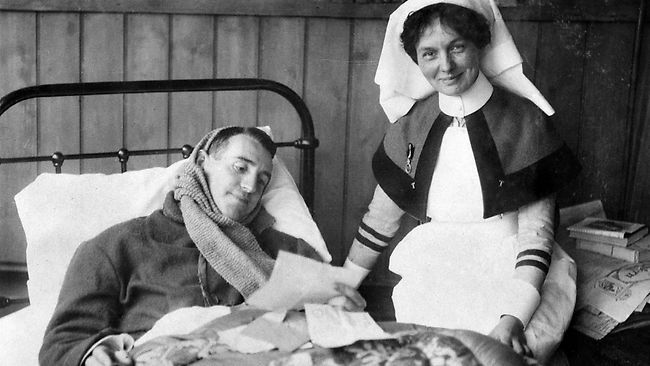 (The photo here is not of Prichard, but Throssell with an unidentified nurse.) Throssell was a war hero, Victoria Cross winner and son of a prominent conservative politician. The tension between this and his marriage to a communist writer is part of what drives this biography by John Hamilton. Hamilton is a journalist by background, and has written two other books about World War I. He approaches Throssell as a military historian; in telling the story of Throssell’s life, it is the trench battles in World War I which receive the most attention. This is appropriate, because it is Throssell’s role as a war hero which made him famous, and the trauma of battle which would contribute greatly to his suicide in 1933. Hamilton’s research is the greatest achievement of this book. He managed to track down the only (then) living person who could remember Throssell well, a niece who died at nearly 95 a year before the book was published. He finds official records which shed much light on so many aspects of Throssell’s life – not just his military service, but even a note from the Northam RSL requesting that the premier remove Throssell from his role as the soldier’s representative on the Soldiers Settlement Scheme (303). Writing in The Canberra Times, reviewer Michael McKernan argues that the division of the book into ‘triumph’ (in World War I) and ‘tragedy’ (in his marriage) is an incorrect one – the war experiences were part of the tragedy, setting up what was to follow. Hamilton may not disagree – as a military historian he seems very aware of the cruelty and tragedy of war – but in another important sense, perhaps McKernan’s comment reveals fundamentally different ways of looking at the meaning of war. For me, there are important underexplored questions in the account of Throssell’s tragedy. To what extent did his speech at Northam make him a pariah? His job with the soldier’s settlement scheme continued until 1930. Were the objections to his rodeo scheme related to his politics? The question may be unanswerable, and Hamilton has at least provided some good evidence. Another question – what was Throssell’s politics, and how did it relate to his entrepreneurial activities as a land developer, gold miner, and rodeo promoter? And what was the state of Katharine and Hugo’s marriage when she left on her extended trip, going to stay for a time with her ex-lover and his new partner in Russia? Again, probably unanswerable, and I may be wrong to ask for further speculation than Hamilton provides.